The term Grass Parakeet (or Grasskeet) refers to a large number of small Australian parakeets native to grasslands such as Neophema and Princess Parrot. The Australian rosellas are also parakeets. The term Ringneck Parakeet refers to a number of African and Asian parakeet species of the Psittacula genus. The Alexandrine Parakeet is one of the largest parrots commonly referred to as a parakeet. In aviculture the more precise term conure is used for small to medium sized parakeets of the genera Aratinga, Pyrrhura, and a few other genere of the tribe Arini, which are mainly endemic to South America. As they are not all from one genera, taxonomists tend to dislike the term. 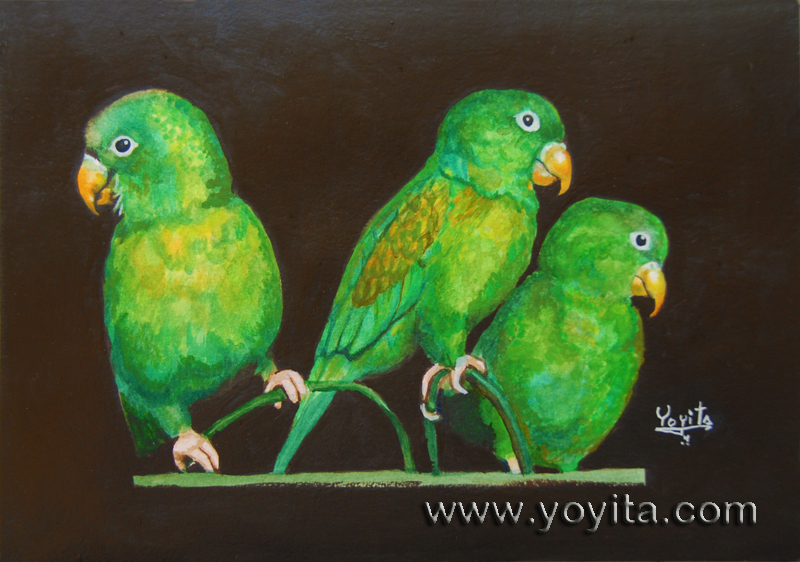 Some other South American species commonly called parakeets include the Brotogeris parakeets, Monk Parakeet and Lineolated Parakeets (although Lineolated Parakeets have short tails). Many of the smaller, long-tailed species of lories may be referred to as lorikeets.